HVAC systems are becoming more and more commonplace. Nowadays, you can see units in homes and buildings. The problem is many people still do not know how to take care of it properly. Some people even think that this kind of machinery does not require any form of maintenance. 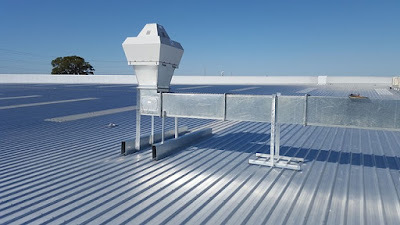 Proper maintenance can mean the difference between a well-ventilated and comfortable living or working environment and or a condition characterized by humidity and excessively high temperature. Without regular maintenance, you could also find yourself wanting to replace your system after only a few years of usage. A system that is not regularly maintained can also jack up your electric bill. The worst time that an HVAC system can break down is during summer time. Can you imagine living in an environment without proper ventilation and air conditioning? This is the reason why you should not wait for summer to come before you start checking on your system. What you should actually do is check on your system all-year round. Below are some more things that point to the importance of regular HVAC system maintenance. Regular maintenance can make your system work more efficiently. Do you know that things as simple as dust can affect the performance of your HVAC system? This is why an important aspect of regular maintenance is cleaning. When there is dust build up in the system, it will not work properly. Do not attempt to clean the system yourself though. Always call on a professional for maintenance work on your system. A dirty system can cause allergies. Don't forget to change the filters. Do you know that the filters of your HVAC system should be changed every three months? Some people think that filters can last a lifetime. If you want your system to be dust and allergen free, then you need to change the filter on a regular basis. If your system is not working properly or if it fails to run completely, one of the possible reasons is a dirty filter. You can avoid many problems by changing the filter regularly. Avoid moisture problems. An HVAC system that is not working properly can cause moisture problems in your home or office. If you have a large system, then you are more prone to experience this problem. Moisture can ruin files and even equipment. The problem can easily be prevented through regular system maintenance performed by qualified professionals.